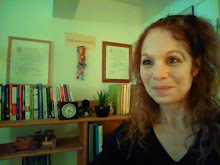 I am a Harvard-trained, licensed psychotherapist in private practice. My practice is located in a quiet area in Amherst, NH (pictured below), close to major roads and close to Nashua, Milford, Hollis, Brookline, Merrimack, Bedford, Hudson, Londonderry, and other towns in southern New Hampshire and northern Massachusetts. I also serve as a psychosocial consultant to Child Health Services in Manchester. I work with adults, adolescents, and children who feel anxious, depressed, traumatized, sad, or stuck. The problem may be recent and specific, or a person may have been burdened for many years, even since childhood. I work with individuals, couples, and families who have a close relationship that has been difficult for too long. Sometimes the most difficult relationship is the one we have with ourselves: our expectations, our hurts, and our past unsuccessful attempts to change. Clients already possess much of what they need to make the changes they want. Psychotherapy often builds or restores one’s inner compass or sense of self. PSYCHOTHERAPY IS EFFECTIVE. Research over six decades with thousands of clients, adults and children, and a wide range of problems has demonstrated the effectiveness of therapy -- especially when it's built around your ideas, your preferences, and a caring collaboration between us. One study summarized 475 studies of the outcome of therapy. It found that the average person who completed therapy was better off than 80% of comparable people who did not receive therapy. Careful combinations of other studies, called meta-analyses, have produced the same findings (i, iii). Psychotherapy's level of effectiveness is equal to having a pacemaker to prevent fainting from heart malfunction (ii). Psychotherapy is 6 times more effective than using beta-blockers to prevent re-admission to the hospital for heart failure (ii). Psychotherapy is 3 times more effective than bone-marrow transplants to prevent relapse or death from leukemia (ii). Psychotherapy is 59 times more effective than taking aspirin to prevent a major cardiovascular event (ii). At some times in our lives, many adults and children feel stuck or feel unsatisfied. We may have close relationships that are difficult -- relationships with family, friends, work colleagues, even with ourselves. Many of us have woken up thinking, "Something needs to change. But how?" "Most of the time I am organized and competent. I get things done. But sometimes I seriously procrastinate. I can't seem to change the procrastinating part of me, it makes trouble for me, and I am tired of it. I came to therapy because I want to change the procrastinating part of me." "I've never been able to feel close to some people in my family. It really bothers me." "Some hard things have happened to me, and I think they are causing trouble in my life." "I love my kids and my wife (or husband) very much, but sometimes we just don't get along." "I am worried about some of my child's behaviors." "My child might have PTSD (or anxiety, depression, or obsessions)." OUR PERSONALITIES ARE MADE UP OF MANY PARTS -- AND THAT'S NORMAL. Traditions in many cultures and research in psychotherapy have demonstrated that we all have sub-personalities that develop naturally, in response to our family history and past experiences. "I'm a calm person. Everyone says so. But sometimes this anger just seems to come out of nowhere! I don't understand. How could that happen?" Even better, each part of our personality has valuable qualities and is meant to play a valuable role in who we are. At times, some part of our personality may have been forced out of its valuable roles by trauma or by problems in our families (iv). Many individuals come to therapy because one or more parts of their lives have become stuck in some way that they want to change. They may have tried other solutions, and now they want to talk things over. Something in their lives is not comfortable or is not working as well as they would like it to work. In fact, each part of our personality can have a valuable role. Using insight and practical tools, therapy can teach us to use our whole self constructively. (ii) http://www.cebm.utoronto.ca/glossary/nnts.htm#table See http://www.cebm.utoronto.ca/glossary/nnts/car.htm . Effectiveness is calculated by comparing the Number Needed to Treat for psychotherapy, compared to the NNT of selected medical interventions in the general tables on NNT. An effect size is a measure of the difference between the mean of the treatment group, and the mean of the control group. Here, it is a standard deviation. Thus, an effect size of .85 means that there is .85 of a standard deviation between the mean of the control and treatment groups. All Content: Copyright 2008 Elise Bon-Rudin, Ed. D.